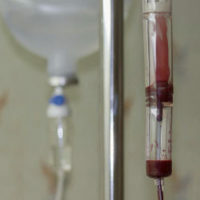 A number of medical procedures involve the transfusion of blood to the patient. In fact, approximately 5 million people undergo blood transfusions annually in the United States. And, in the vast majority of cases, the transfusion proceeds without issue. However, as with any medical procedure, a blood transfusion is not without risk, and errors can occur. In some cases, the errors are preventable, in which case, someone should be held responsible for medical malpractice if an injury resulted. Although she is now 5 years old, the family of a child who suffers from brain damage due to complications during her delivery won a lawsuit against the medical group, the hospital and the doctor who were involved in the delivery. The family’s argument was that a delayed blood transfusion caused the child to suffer from brain damage, as well to develop cerebral palsy, epilepsy and other serious health problems which require her to have constant assistance for the rest of her life. A discussion of medical malpractice, generally, and some of the more common errors of blood transfusion, will follow below. Generally, successful plaintiffs must prove the following elements in a medical malpractice matter: the existence of a relationship between a patient and a medical professional; a negligent action or omission by the medical professional; and an injury that was caused by the negligent action or omission. To determine whether the action or omission by the medical professional is negligent, it is necessary to determine two aspects: the applicable standard of professional care, which in this case is the administration of blood; and whether the medical professional’s action or omission, in fact, adhered to that standard of professional care. Generally speaking, the standard of professional care is what a medical professional with the same skill and experience would do in similar situation. This can be demonstrated through expert medical testimony and reports. A blood transfusion is life-saving, as a sufficient supply of blood is vital for the patient’s wellbeing, and sends oxygen and other nutrients from the lungs throughout the patient’s body to the cells and organs. In doing so, blood acts as a vehicle, allowing the cells and organs to function. All patients should expect that a blood transfusion should be conducted safely and without error. Unfortunately, an error that should not have occurred can result in infection, sickness and, possibly, death. Blood transfusions are not usually administered by physician, but rather other medical personnel. Nevertheless, there is still a standard of professional care applicable to such persons. Thus, when these medical personnel fail to follow the applicable standard of care, they can make errors that, unfortunately, can lead to serious negative consequences for the patient. Delay in administration. As in the example cited above, any delay in administering a blood transfusion can deprive the body of oxygen and nutrients, and, as shown, can have dire consequences. Improper administration. The administration of the blood can be improperly done, such as using unsanitary needles, inserting needles into a nerve, or administering too much blood. Mismatched blood. Although some blood types can be given to those with other blood types, when in a medical procedure, due to the stress on the body, it is appropriate to only provide the patient with blood that matches his/her blood type. Administration of infected blood. Although blood is supposed to be screened for infections and disease, the failure to screen blood can have serious consequences for the patient. If you or a loved one has been harmed as the result of a blood transfusion, contact an experienced medical malpractice attorney as soon as possible. You should expect your blood transfusion to occur smoothly and without complications, and if negligence has resulted in a transfusion reaction, you may be entitled to compensation for your injuries. The experienced attorneys at Pita Weber Del Prado are here to help you. We have the experience to determine whether the blood transfusion or other medical procedure was performed negligently. Contact our Miami office today for an initial consultation.